It’s a debate that might never be settled, but how American would we be if we didn’t at least try? Which sport is truly America’s pastime? Before we even enter that arena, we need to look at who is punching the ticket that got us there. Sports writing is as American as it gets. From the fast talking fedora wearing Studs Terkel’s of years gone by to the quick witted fast fingered Shams’ of today; sports reporting has been the backbone of the debate we’re about to have here. Without the passion, knowledge and unbridled love for the game, we wouldn’t care the way we do. Whether it’s Shirley Povich eloquently educating us on baseball. NFL Films romanticizing the gridiron. Siskel and Ebert investing us in visual storytelling. The trail blazing MMA writers of today, forging new ground the way so many others in various sports have before them. Over time the games, figures and history has blended together to become uniquely ours. Sports writing is more than words on paper, it’s lyrical accompaniment to the romantic images that come to mind when we think of the history of sports. The motion is already provided, but without the sports writer there is no poetry. That’s why this gathered FanSided A-team is here defending their sport. When articulated rather than shouted, there’s no take too hot. Passion cannot be silenced. At it’s core, that’s what sports writing has always been. So let’s get right to it. We provide the arguments, you provide the conclusion. That’s a song we can all agree to dance to. At the beginning of the 20th century, baseball was king in America. Every red-blooded chap with a fedora atop the head and a cigar in the mouth could identify Ty Cobb and Nap Lajoie. In 1920, the NFL came into existence. Growing pains were sustained and severe. The league didn’t truly take off until Dec. 28, 1958, when the Baltimore Colts visited the New York Giants at Yankee Stadium in the title game. The contest would become the first sudden-death playoff game in NFL history, drawing a tremendous audience across the country, including a snowed-in East Coast. America’s sporting landscape would never be the same. 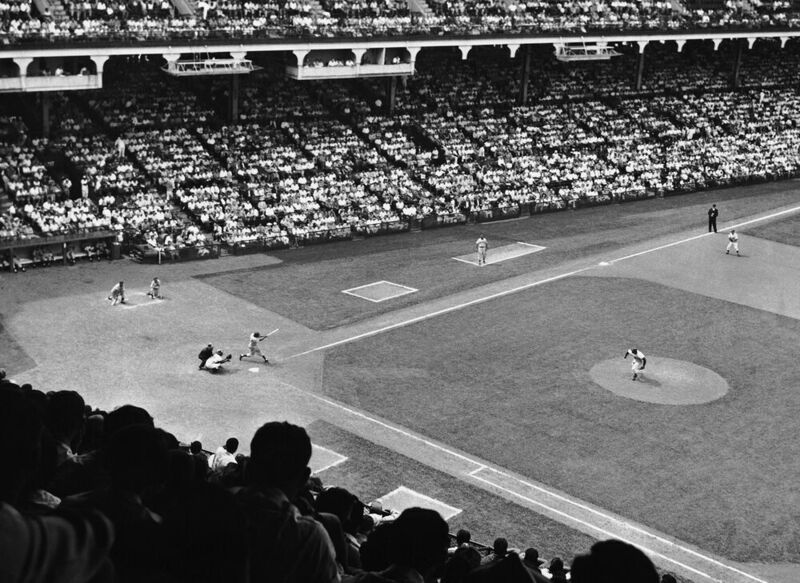 Throughout the 1960s, football slowly began to take over baseball’s once indisputable throne. By the early 1970s, many fans were becoming disillusioned with MLB, citing free agency and greed. Meanwhile, the NFL still had the reverse clause, all but binding player and team for life. Football has become the symbol of what America is. It is tough and rugged all while displaying a certain amount of finesse and precision. Both before that era and since, football has become the symbol of what America is. It is tough and rugged all while displaying a certain amount of finesse and precision. People love to watch these modern-day gladiators battle in the heat of competition, something that no other sport can package in the way the NFL can. I would agree with Mr. Modell. Football is for every race, and every religion. It is for the poor and the rich, the city and the small town. The sport is played everywhere in the nation, whether it be a cold field in Maine or a sweltering afternoon in Phoenix. There is no other sport, or activity, that combines as many beautiful qualities as the game of football. It is both brutal and graceful, cerebral and might. Each week in the fall, we tune in to see a chess match come to life with some of the greatest athletes the world has ever known. There are plenty of reasons to love hockey, baseball and basketball. Yet none capture the essence of the country in the manner football does, one of the many reasons it is, and will remain, America’s pastime.